I am a former Bf3 comp jet pilot. I love to fly, I don't live to fly. Aptce, Dwnfrc, Haimelik, Studido, Shalz123, RENEGADING, RookieInAYear, NoDeFrags, Marat1900, Pertnova, Elmenor, BlackButt, CrazyCracker, AlphakillerPR, DiiviineWind, SnackPack96, EpsilionHulk, StilBlazin, o_OImNervousO_o, Nerdkiller, Marty. 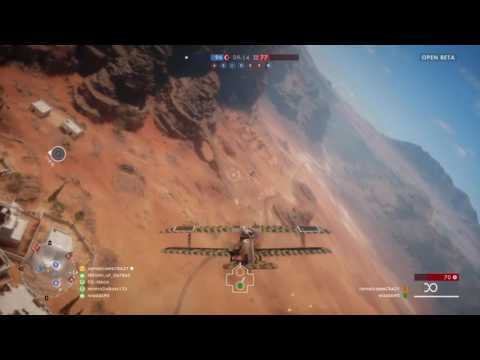 If ya'll wana see me play some BF1. Bit derpy at the start but warms up. lnsker and 2 other soldiers like this! Hows everybody enjoying that bf1? TheAmazingJCrazy Ou daq. Inserk yea it has alot of simularities between battlefront but the aircrafts are a lot better than it. Not a great game but it has some ok moments. A battlefront/older battlefield hybrid game. H0sn- and AlmightyDaq like this! Contro1UP- and 2 other soldiers like this! "Ha, man you look like a clown in that outfit..I'm glad you're up here, cause' you look nothing like a Russian"
AlmightyDaq , xKarnado_O and 2 other soldiers like this! TheAmazingJCrazy Bog its all up to you soldier. Got my trusty m16. Time to do work.